In 2019, Fraser Dental will select one deserving student to receive a $5,000 prize for orthodontic treatment. What is the Orthodontic Scholarship? 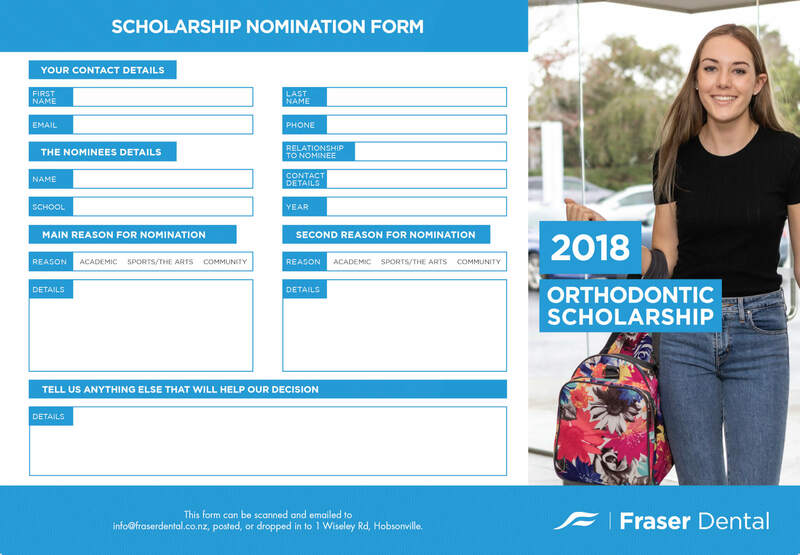 The Orthodontic Scholarship is one prize of $5,000 towards orthodontic treatment at Fraser Dental Centre. The prize is awarded to one deserving student attending either Hobsonville Point Primary in Years 7 or 8 or Hobsonville Point Secondary Schools. Students are nominated by friends, family, and members of the community. The winner is selected by our scholarship committee including Dr Alex McIntosh and Dr Milan Raniga. We will let you know with plenty of time when we will be accepting applications for nominees. 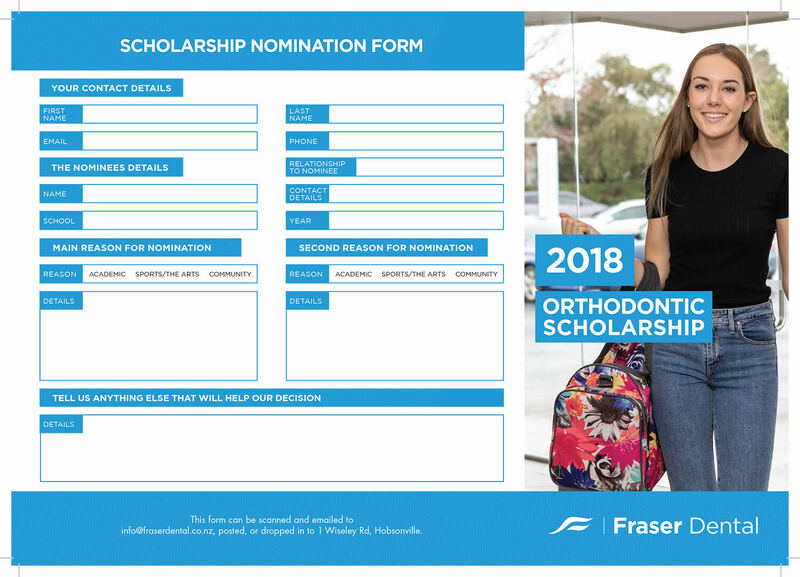 After applications close, the scholarship committee will select a few finalists to attend Fraser Dental for a complimentary orthodontic consultation. Following this consultation, the committee will select the scholarship winners by the end of September. The winners will each receive a prize of $5,000 towards orthodontic treatment at Fraser Dental. See the full terms and conditions for more information. 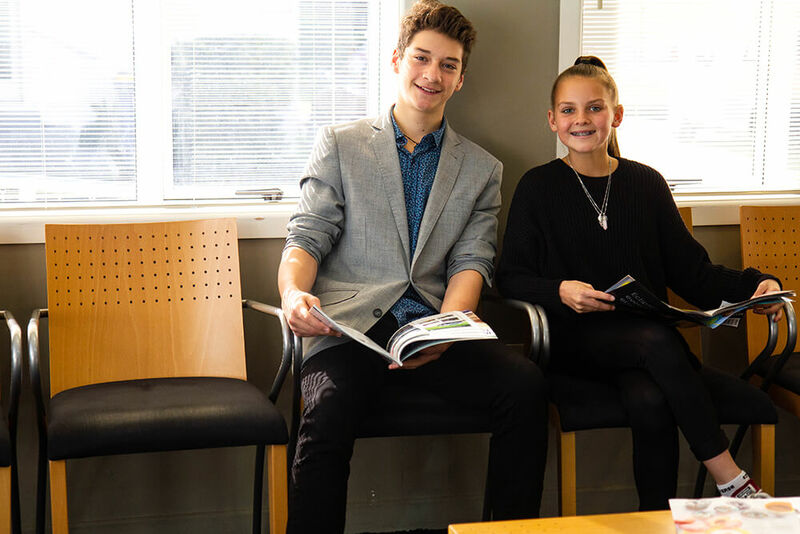 For 2019, all students from year 7 to year 13 currently enrolled at Hobsonville Point Primary and Secondary schools are eligible to be nominated. What are you looking for in a Nominee? Ideally, the nominee will excel in at least one of these key areas. Or message us here to request a form to be mailed to you. This form can be scanned and emailed, posted, or dropped into the practice at 1 Wiseley Road, Hobsonville. Parents, guardians, whanau, teachers, other students and peers of the nominee are all welcome to submit nominations. What information should I include in the nomination? Include everything! The more great stuff you tell us about your nominee, the better their chances of being selected for the scholarship. In the last box labelled “TELL US ANYTHING ELSE THAT WILL HELP” make sure you include anything you think is important for us to know about this nominee’s circumstances. Students that have been nominated by more than one person have a better chance of being selected, so spread the word and get nominating! Please read the terms and conditions on our website before nominating.